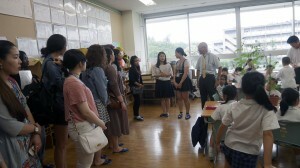 Following yesterday’s lecture on Japanese education, SSIP participants were taken on a delightful tour of Showa’s Elementary School. 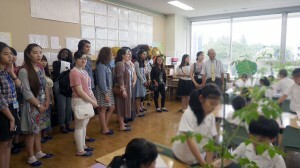 Kindly led by Nagino-sensei, with Harvard intern Amanda Yang acting as translator, we were able to observe the interactions between pupils and teachers in a range of classes. After removing our shoes, as is custom, and a quick orientation, we were warmly welcomed by the enthusiastic and well-behaved children (who were, needless to say, adorably cute). Highlights included being treated to a very impressive choir rehearsal by the music department, before moving on to explore a science laboratory home to a butterfly house and aquarium. 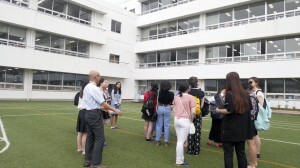 One participant was surprised by the young age at which the pupils began studying angles in the mathematics class in comparison to their educational experience in their home country. Before leaving, we were able to admire the care with which pupils in their art class painted were painting their wishes with calligraphy pens on paper to prepare for the annual Tanabata (Star) Festival. 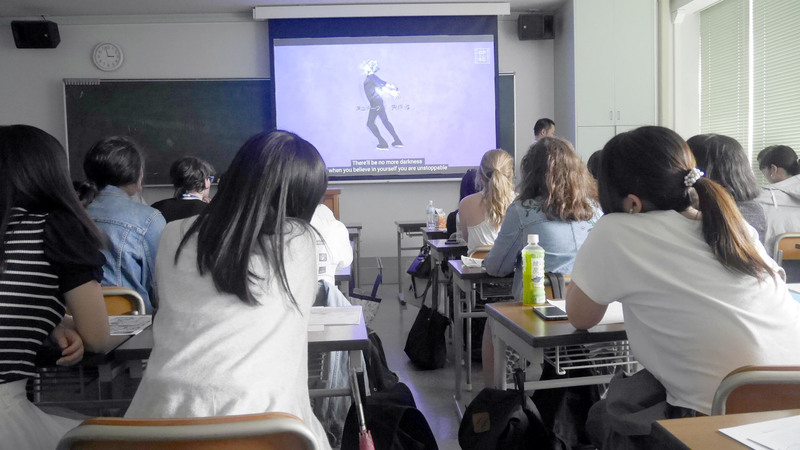 The long lunch break allowed the students to go out for a bite to eat if they wished, before they returned for a lively lecture by history professor, Shigematsu-sensei, on Japanese Pop Culture. 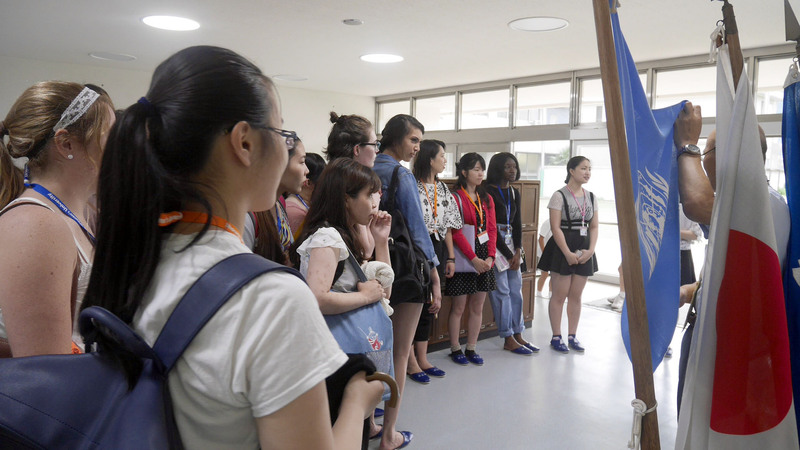 Students were lucky enough to have classic manga works passed around, including some highly sought-after copies that are now out of print, whilst hearing about the development of the art and its importance in Japanese society today. 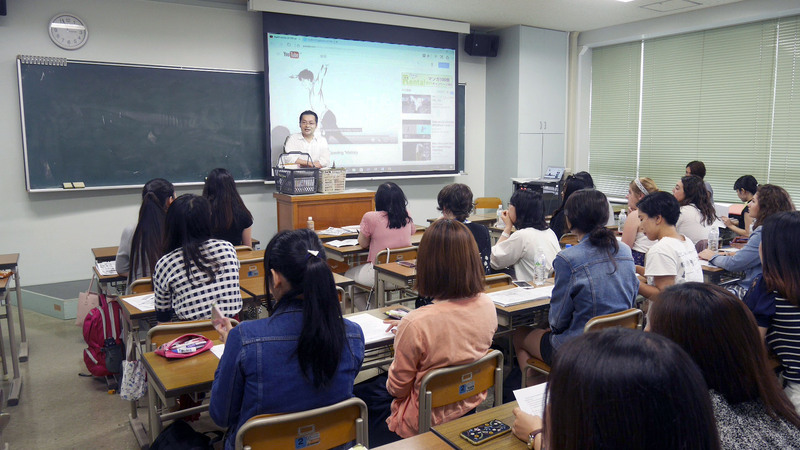 We then learned how manga related to anime and the efforts made by renowned filmmakers such as Hayao Miyazaki to establish the latter as an artform in its own right. Spliced in-between information bites were snippets from early Miyazaki works, an exciting introduction to the Ghibli Museum trip on Friday. The lecture concluded with the rise of JPop. 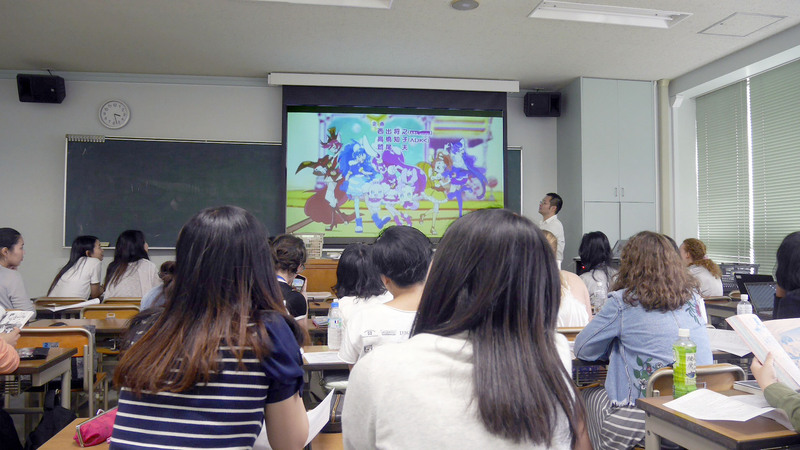 Whether connoisseurs or dilettantes of Japanese Pop Culture, sure enough every participants’ knowledge was deepened by the lecture.